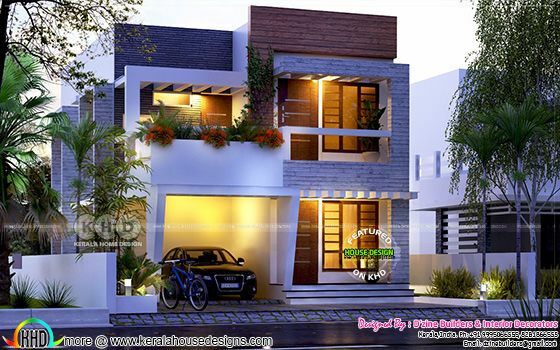 2750 square feet (163 square feet) (194 square yards) 4 bedroom contemporary residence architecture. 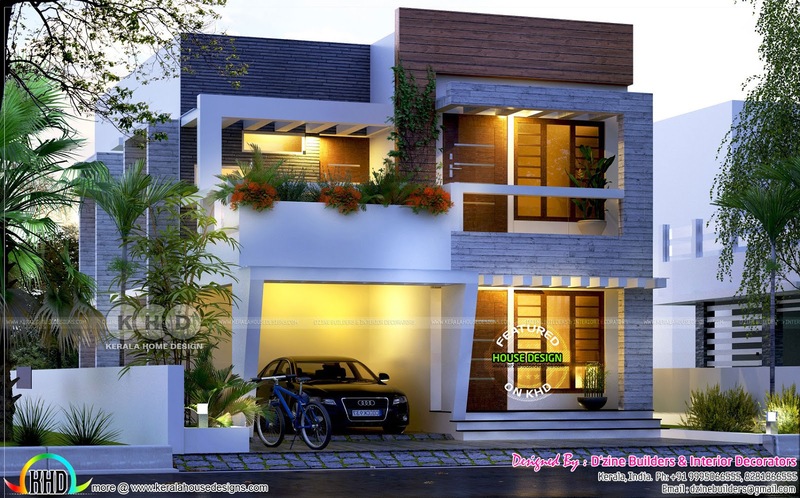 Design provided by D'zine Builders & Interior Decorators, Kerala. 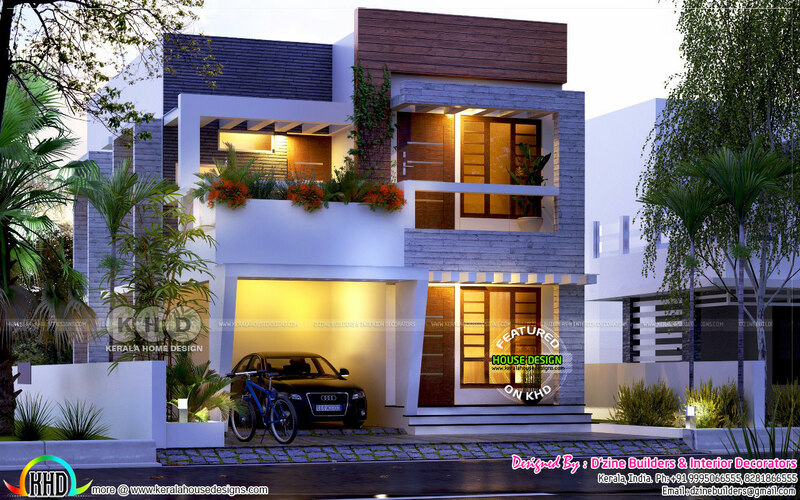 0 comments on "4 BHK contemporary residence architecture"